Despite public misconception regarding the frivolity of medical malpractice lawsuits, for victims of malpractice, there is nowhere to go to receive recompense but the courts. Still, frivolous lawsuits are not imaginary either. Therefore, before filing a malpractice lawsuit it’s worth the time to consider exactly what makes a lawsuit frivolous. Frivolous lawsuits are frequently a result of situations that are known as bad, or adverse, outcomes in medical terminology. A bad outcome is one where the patient suffers some sort of negative effect or lasting injury from medical care, up to and including death. They can be caused by unforeseeable complications, the physician failing to notice a symptom, the patient simply not responding as expected to treatment, or a host of other factors. 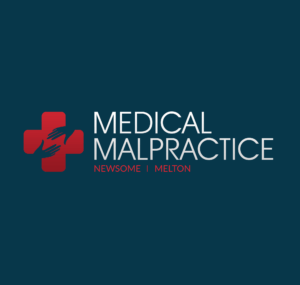 A bad outcome by itself is not necessarily basis for a malpractice lawsuit. For a malpractice lawsuit to succeed, it has to be shown that the target of the suit failed to provide the accepted standard of medical care or was otherwise guilty of professional negligence. Medicine is not always a predictable field, and it is possible for a physician or hospital to provide the best possible medical care and still obtain a bad outcome. Unless the plaintiff in the lawsuit can prove that the defendant caused and/or contributed to the bad outcome, either by failing to provide necessary aid or providing insufficient or inappropriate care, the malpractice lawsuit will likely be found to be frivolous. With court costs being what they are, it is important for those who believe they are the victims of medical malpractice to seek the advice of a competent professional prior to filing a claim. The majority of malpractice suits will require expert testimony, as well as evidence proving a medical professional or facility was negligent or caused undue injury. A medical malpractice attorney can assist clients in filing their claims and procuring the necessary paperwork.